We didn’t do a video on this today. In part, it’s kind of hard to make a video of something there isn’t any scientific proof to support. 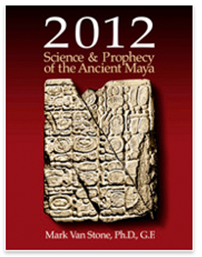 Yes, as with so many other things, the existence of aliens and an alien invasion has been tied to the Maya prophecy. But as scholars like Dr. Mark Van Stone will tell you, there’s not one shred of scientific evidence to support they exist, let alone, not one mention in Maya hieroglyphs or remains that talk about them. 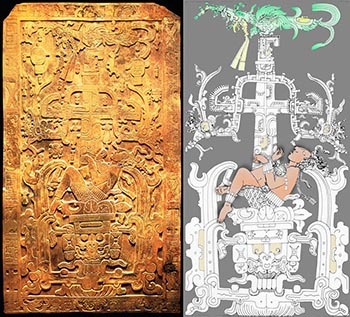 Yes, the Ancient Aliens show has tried to tie Pakal’s Sarcophagus Lid to the ancient astronaut theory, but a careful examination of the text in Dr. Mark Van Stone’s book for iPad, 2012: Science & Prophecy of the Ancient Maya shows clearly that Lord Pakal was sitting in one of the Mesoamerican ceiba trees and what was claimed to be rocket flames in the TV series is clearly the base roots of one of these unique and special trees. 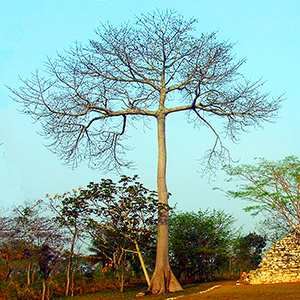 We included a photo of a ceiba tree taken by our friend, Dr. John Hoopes of the University of Kansas. Ancient Aliens: What was the history channel thinking? 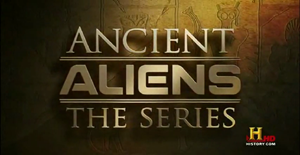 The Season Four premiere of Ancient Aliens on H2, began a few weeks ago with two shows about the 2012 meme and the alleged catastrophic predictions of the Maya and somehow, how ancient aliens were involved. One of the guest scholars of those two episodes, Dr. Mark Van Stone on Twitter, (@MayaTruth) has provided The Wonders Expedition with an exclusive video interview we’ve entitled: What Ancient Aliens Left Out. We are excited to bring you this exclusive interview and will be providing additional interviews as we go along, hopefully with other recognized scholars on 2012. We’d like to talk with Giorgio A. Tsoukalos, Erich Von Daniken or David Childress, too, just to give them a fair shot. As the season premier began in mid-February, we began to tweet about some of the things we were seeing wrong in the show and wound up having a similar conversation with Dr. Van Stone, whom you will see is very colorful and friendly. The more we talked, the more it became apparent that what he was saying needed to be shared with you. As we’ve noted before, the Lord Pacal Sarcophogus cover, all decked out as a spaceship model is pretty cool. The thing is, it just doesn’t have anything to do with reality. Last Friday night’s show probably was the most appalling of all–the thought that Ancient Aliens, now not so ancient, were and possible are controlling the weather and natural events on our planet to affect the outcome of the human race. Amazing. The conversations with Dr. Van Stone have been very engaging and informative. In fact, we’re proud to announce that on March 22, 2012, he will be available in a Webinar to talk more about the fantastic predictions about 2012 and Mayan culture and allow you to ask questions and interact with him like you cannot when he and others are in a TV show. For this first show, we’re offering a discounted rate of $7.99 and it will begin at 6 p.m. PST (9 EST/8 CST) in the United States. Sign up today, we are going to limit the size of the first Webinar so we don’t want you to miss out.